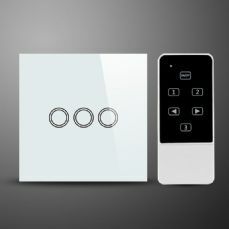 Our Designer Decorative Glass Switches & Sockets range is an affordable solution to improve any lighting requirements. The Glass design light switch looks elegant once installed. 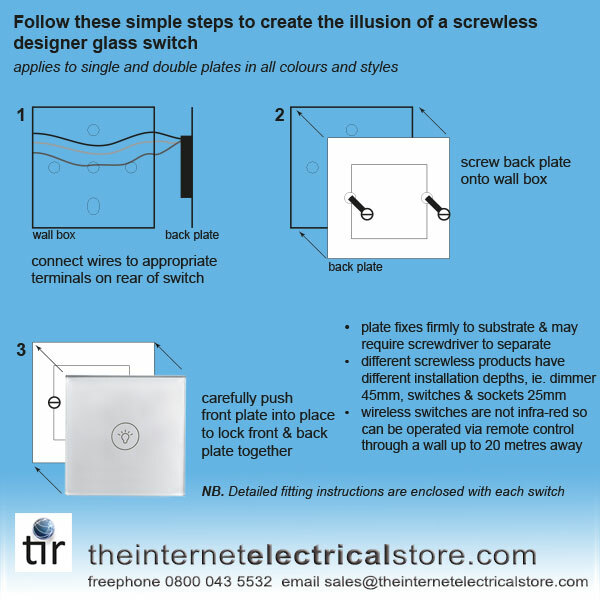 The Glass Switch Light Switch edges are crafted to sit surface mounted on your wall. 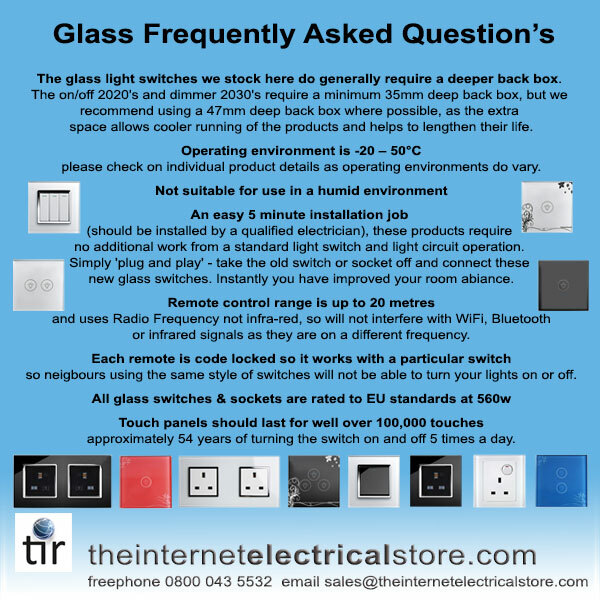 The viewed edge of the switch will then also be a glass effect looking into the middle of the light switch with a surrounding facia. 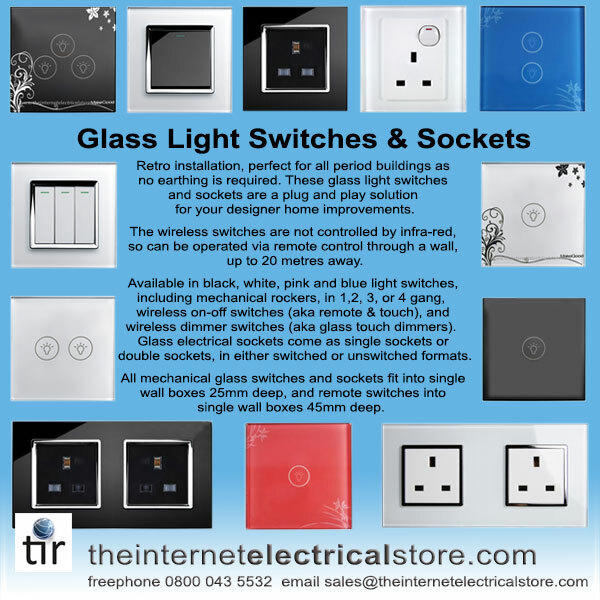 All Glass Switch light switches and sockets come with a 1 year warranty and comply with all CE safety standards and regulations and fully rated to EU standards.